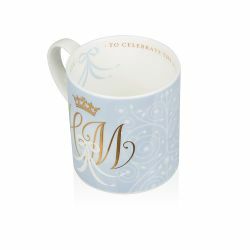 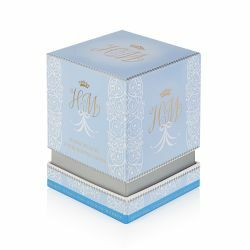 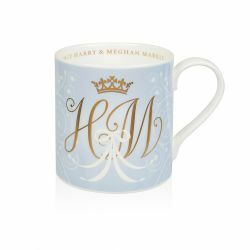 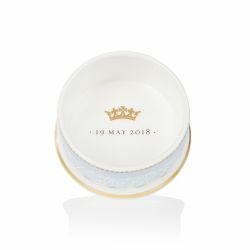 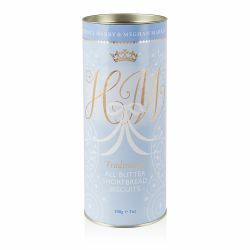 This official commemorative china celebrates the marriage of HRH Prince Henry of Wales and Ms. Meghan Markle on 19th May 2018 at St. George's Chapel, Windsor Castle. 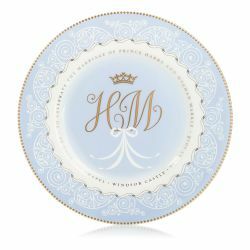 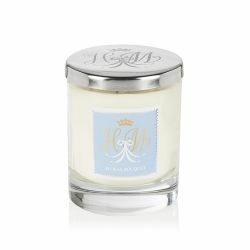 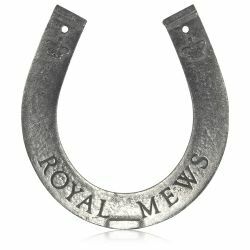 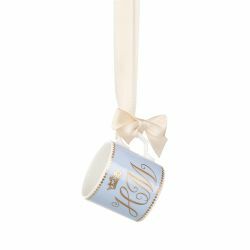 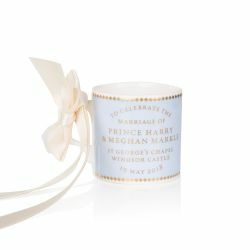 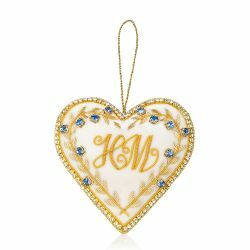 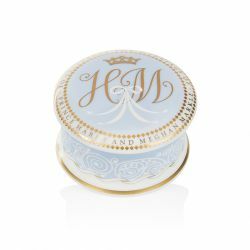 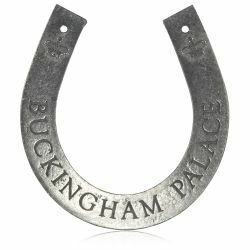 The exclusive design shows a monogram surmounted by the coronet of Prince Harry, and tied together with white ribbons. 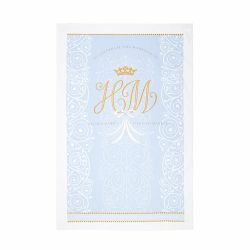 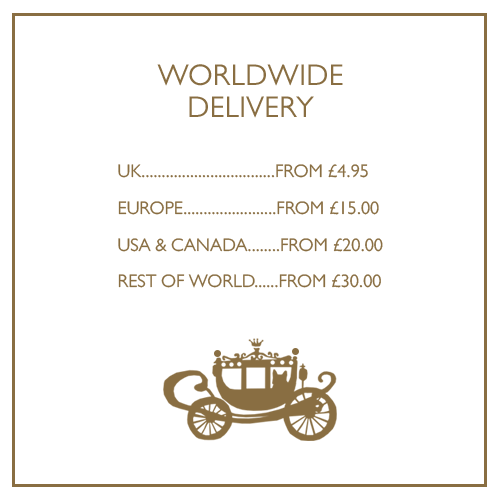 The decorative borders are inspired by the mid-thirteenth century Gilebertus doors at St. George's Chapel.